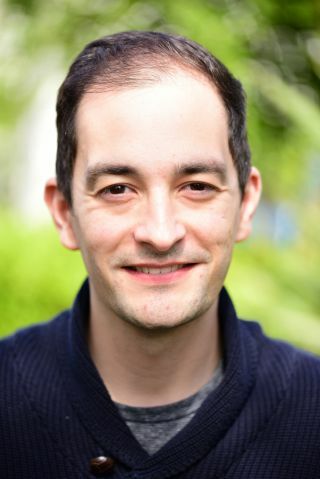 Many congratulations to Dr Robert Beagrie, a postdoc with Prof Doug Higgs at the MRC Molecular Haematology Unit, who has been awarded a prestigious Sir Henry Wellcome Postdoctoral Fellowship. The four-year award offers recently qualified postdoctoral researchers the opportunity to start independent research careers. Robert will be working with Prof Doug Higgs and Assoc. Prof. Merav Socolovsky (University of Massachusetts Medical School) to study gene regulation in early red blood cell progenitors. Rob’s project will investigate how DNA regulatory elements called enhancers drive the activation of thousands of genes as these cells enter terminal differentiation, during a fascinating transition point that is tightly synchronised with the cell cycle. Before moving to the MRC WIMM Robert did a PhD in the lab of Prof Ana Pombo at the Max Delbrück Center for Molecular Medicine in Berlin, where he developed a new method for measuring how DNA folds inside cells.